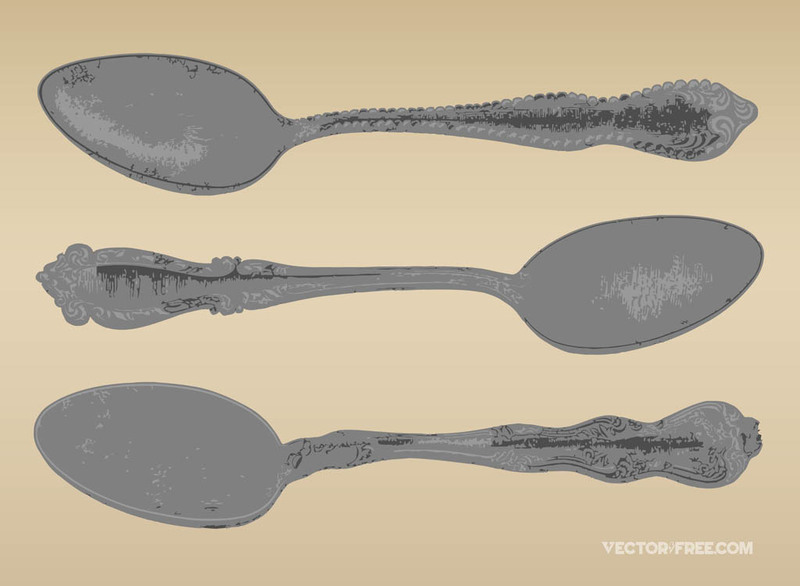 Cutlery vector illustrations of engraved spoons. Silver teaspoon images on golden background for all kitchen equipment, meal, tea time, dining, dishware, dessert and silverware designs. Download spoon vectors to layout menu cards for bars, cafes or restaurants. Spoon vectors with detailed reflections and decorations in Illustrator format for easy and fast editing. Tags: Coffee, Cutlery, Dessert, Flatware, Kitchenware, Silver, Tea, Utensils.